Still Life: A Chief Inspector Gamache Novel (Hardcover) | Let's Play Books! 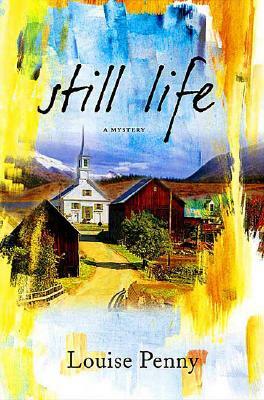 "Still Life" introduces not only an engaging series hero in Inspector Gamache, who commands his forces---and this series---with integrity and quiet courage, but also a winning and talented new writer of traditional mysteries in the person of Louise Penny. LOUISE PENNY is the #1 "New York Times "and "Globe and Mail "bestselling author of ten Chief Inspector Armand Gamache novels. She has won numerous awards, including a CWA Dagger and the Agatha Award (five times) and was a finalist for the Edgar Award for Best Novel. She lives in a small village south of Montreal.